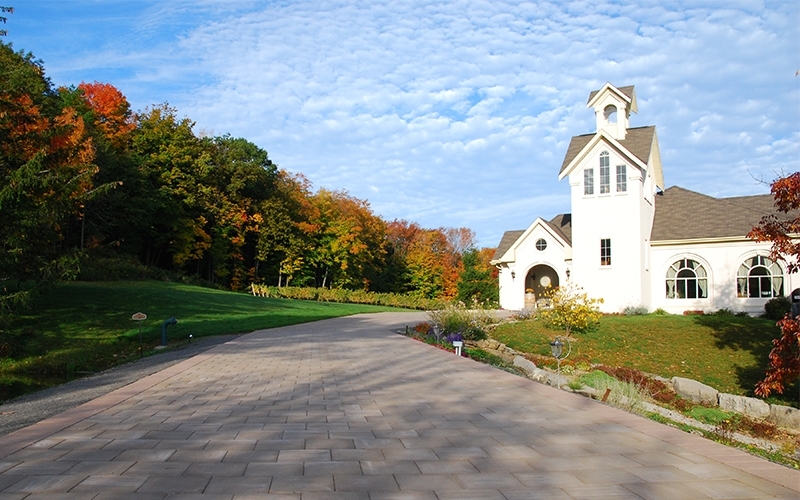 Perched halfway up the Beamsville Bench, nestled between rolling vineyards and natural forest, Angels Gate Winery has been producing award-winning wines in our "Mission" style building for over a decade. The secret to our success lies in Winemaker Philip Dowell's combination of traditional winemaking techniques and new-world technologies to produce wines with delicate balance, finesse and structure. A visit to the winery tasting bar is incomplete without a sip of our sparkling wine, made in the traditional method utilizing secondary fermentation in bottle. Angels Gate is located on property once owned by the Congregation of Missionary Sisters of Christian Charity in Ontario. In 1995, the land was converted into a vineyard, the first grapes were planted in 1996, and the winery opened in 2002. We continue to purchase new vineyards and to date have 180 acres, of which 168 acres are on the Beamsville Bench.